An FHA home loan is a popular financing option for many borrowers. This type of loan is especially good for first time buyers or buyers who do not have a large down payment. You can also convert your conventional loan to an FHA loan by refinancing. Though most people assume that an FHA loan is issued directly from the Federal Housing Administration (FHA), the truth is that FHA simply guarantees the loan. This guarantee oftentimes makes it easier for potential homebuyers to obtain loan approval even with a lower down payment, blemished credit score, or lack of credit history. These applicants may not be able to obtain a conventional mortgage loan, making FHA loans a good option. This guarantee also makes lenders more comfortable with the loan process. A mortgage lender who works with the FHA is much more likely to approve you for a home loan because they know that if you default, FHA will cover the loss. This significantly lowers the risk factor for the lender. 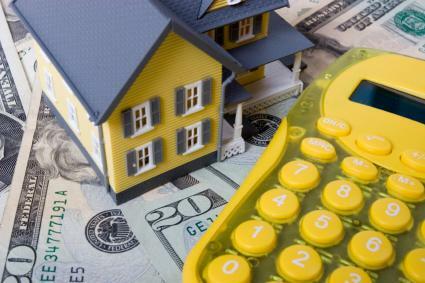 Financial requirements for FHA mortgages are a little more lenient than conventional mortgages. First time homebuyers or borrowers who have questionable credit have a better chance of getting approved for a loan with fair interest rates. In most cases, you can have as little as 3 percent down and still qualify. In addition to these requirements, borrowers must also make sure that the monthly home loan payment falls below 31 percent of their gross monthly income. Adjustable Rate Loans - These loans are a type of HUD mortgage specifically designed for borrowers that would benefit from initially low monthly payments and don't mind a variable interest rate. Fixed Rate Mortgages - These loans are great for those who want to have a predictable monthly payment but don't have the down payment needed to qualify for a conventional loan. Graduated Payment Mortgages - These FHA loans are best suited for borrowers who currently have a low to moderate income, but expect to make more money in the near future. Energy Efficient Mortgages (EEMs) - This mortgage program was created to help potential, and even current, homeowners incorporate the costs of energy efficient home improvements into an FHA loan. Refinancing pays off the original mortgage loan and creates a new loan, preferably with a lower interest rate. FHA loans can be refinanced and remain FHA loans, but homeowners can also refinance an FHA loan into a conventional loan if they qualify. Homeowners who intend to refinance an FHA loan into a new FHA loan may qualify for a streamline refinance. A streamline refinance is an option offered for FHA-guaranteed mortgage loans that reduces the amount of documentation involved in the process of obtaining a lower interest rate. Refinancing usually involves steps similar to when the mortgage loan was originally obtained, including applying for the loan and paying closing costs. A streamline refinance through the FHA allows for the process to go faster and may result in lower closing costs than a full refinance. Some streamlines do not require appraisals. Keep in mind that there will be closing costs associated with an FHA streamline, just like with any other type of FHA home loan refinancing. The original mortgage loan must be FHA-guaranteed. The original mortgage loan must be up to date with payments. The streamline refinance must result in a lower monthly mortgage payment. No cash-out is allowed with an FHA streamline refinance. FHA refinances that are not streamlined take two forms: Cash-Out and No Cash-Out. Cash-Out: This loan allows borrowers to refinance their FHA mortgages for up to the maximum loan-to-value amount set by both FHA and the lender. Homeowners can obtain cash for the equity in their homes by refinancing for more than the amount owed on the home. The cash proceeds from the refinance can be used for anything the homeowner wants including debt consolidation, a major purchase or an investment. There may be additional lender fees associated with a cash-out FHA refinance. No Cash-Out: This is a simple refinance that does not involve any cash proceeds to the borrower. This type of refinance is commonly obtained when a homeowner wants to refinance an FHA mortgage to get a lower interest rate or to change the terms of the loan, such as increasing the length of the loan to get a lower monthly payment or decreasing the length of the loan to save money in interest charges overall. It is important to remember that, in some instances, borrowers will not only have to qualify based on the regulations set forth by FHA, but also must qualify based on the regulations set by the lender. It is possible to refinance a conventional mortgage loan into an FHA loan as long as the homeowner can qualify based on FHA and lender standards. While FHA loans are oftentimes attractive as a result of the lower credit standards and flexible underwriting, it is important to remember that FHA does charge an upfront mortgage premium, also referred to as a funding fee. This fee is standard with FHA mortgages, and for this reason a conventional loan may be a better option for some borrowers looking to refinance. Bad credit and the lack of a down payment stops many people from becoming homeowners, but another common deterrent is closing costs. If you do not have the money to close on your loan, there are special programs that can help you finance such costs. You may also want to consider asking the seller to pay part or all of the closing costs associated with the loan. This can significantly reduce your financial burden. To learn more about your estimated closing costs and programs that can help with the expenditure, contact your local FHA office. FHA home loans have helped millions of people achieve the dream of homeownership. If you are having trouble qualifying for a conventional mortgage, an FHA loan may be exactly what you need. Approval requirements are much more flexible and low interest rates could help you save thousands of dollars over the life of your loan. To learn more about how you can get an FHA Home Loan, speak to an approved FHA lender or visit FHA.gov.